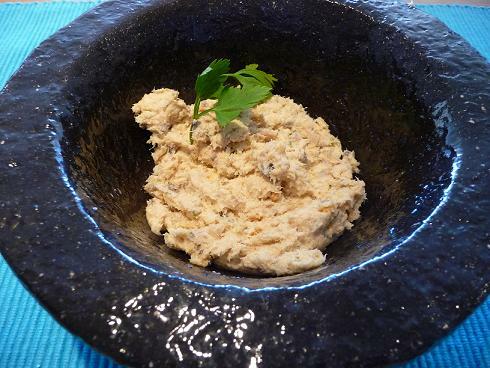 Snoek pate recipe from South Africa! Snoek pate recipe is very South African. It's so nice on a piece of toast served with a glass of Sauvignon blanc. We serve it for aperitif or for starter with a nice green salad. Remove skin and bones form the snoek and flake. <>Place all the ingredients in a food processor and process until smooth. Season with salt and black pepper and spoon into small dishes. Keep refrigerated for minimum half day and maximum 5 days.